Marcel Bisdorf is redefining the Polaroid with his layered, thoughtful body of work. Bisdorf takes instant photography with Polaroid cameras and smartphones, but then develops and manipulates the image, working both by hand and by machine. He retains his artistic authorship in determining exposure, colorschemes, composition, and of course subject. He prints on paper or wood to stretch and change the colors. The moment of time is captured instantaneously in the way that only technology can achieve, but the final aesthetic is achieved with time. The medium proves itself as malleable and experimental as any other kind of photography. Bisdorf often arranges his images as tiles in groups of four or more. He photographs details of faces, or a person at several different moments, or the different angles of an object, or the steps of a task being performed. His lens is close and intimate, with the spontaneous lighting of the everyday making the pictures both more personal and more mysterious. In combining these varied views, Bisdorf presents us with an intriguing paradox, illustrating time passing by pinning it down before our eyes. The images are immediate yet nostalgic, filtered yet unfiltered. Marcel Bisdorf is based in Hildesheim, Germany and Bollnäs, Sweden, where he works with instant film created by The Impossible Project. He has exhibited around his country and has been awarded at the 29. 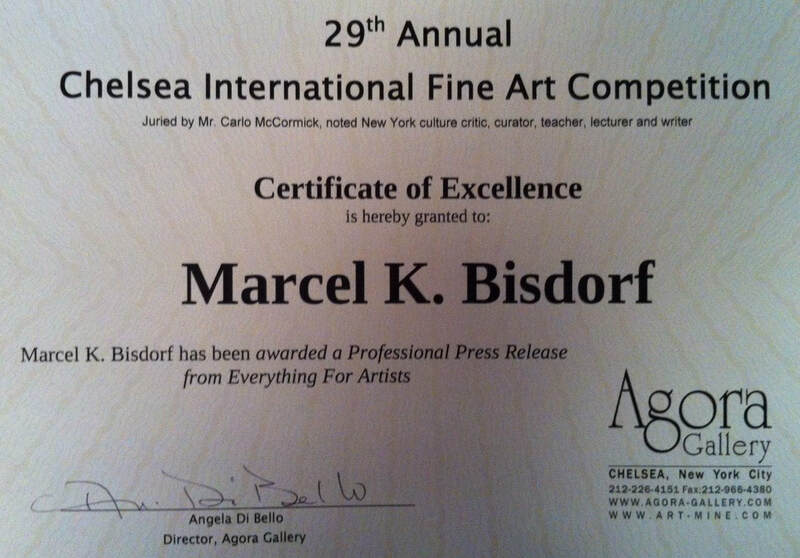 Chelsea International Fine Art Competition by Juror Carlo McCormick. Bisdorf has authored a book about children's education as well as numerous articles, notably a number on the subject of art in education. All image rights belong to the artist. Use, duplication or download are not permitted and require the written approval (see Impressum). - Alle Bildrechte liegen beim Künstler. Download, Vervielfältigung oder Verwendung sind nicht erlaubt und bedürfen der ausdrücklichen und schriftlichen Genehmigung des Künstlers. Bei Kauf- oder Ausstellungsinteresse schreiben Sie uns eine Email.